Chelsea will play West Ham this weekend in a must-win match if they are to maintain their faint hope of a top-four finish this season. Ahead of this important weekend’s Premier League clash, here is all the information that you need to know about team news, possible line up and Opta stats. The injured duo of Thibaut Courtois and Pedro may be fit for weekend’s Premier League clash with London rivals West Ham. Thibaut Courtois has been sidelined with a hamstring injury while Pedro has been out of the first team due to a knock, however, there is good news emanating from Stanford Bridge that both players are fit again and are in contention to feature against the West Ham. For West Ham’s trip to London neighbours, Chelsea Michail Antonio has been ruled out of the match while Manuel Lanzini is a big doubt. Michail Antonio needs to undergo a hamstring operation and will most definitely miss the rest of the season while midfielder Lanzini is still struggling with a knee injury but may feature if he passes a late fitness test. James Collins (hamstring) is another doubt while Winston Reid, Pedro Obiang, Andy Carroll and Sam Byram are long-term absentees. Adrian, Ogbonna, Cresswell, Evra, Zabaleta, Noble, Kouyate, Mario, Lanzini, Arnautovic, Hernandez. 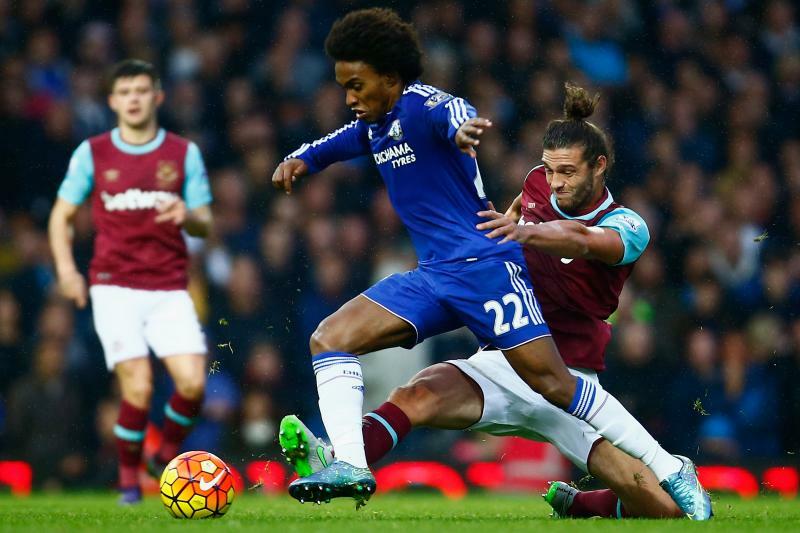 Chelsea is unbeaten in 11 home Premier League games against West Ham (W8 D3), since a 2-3 defeat in September 2002. West Ham last did the league double over Chelsea in the 2002-03 campaign – a season in which they were relegated. The Hammers have lost all three of their Premier League games played on a Sunday this season, by an aggregate score of 1-8. Chelsea has lost five of their last seven Premier League games (W2). That’s as many as they lost in their entire title-winning campaign of 2016-17 under Antonio Conte. The Blues haven’t lost back-to-back home Premier League London derbies since 1999, when they lost 0-1 against West Ham in the March, before Kanu’s hat-trick saw Arsenal triumph 3-2 in October. West Ham has lost each of their last three Premier League away games, last losing four in a row back in September 2016. Alvaro Morata has scored in his last two games for Chelsea in all competitions – he’s not yet scored in three in a row for the Blues, last doing so at club level with Real Madrid in April 2017. David Moyes has won none of his 14 away Premier League games against Chelsea, drawing six and losing eight. Indeed, Moyes has won none of his last 29 away league games against ‘big six’ sides (D9 L20), since a 2-1 win at Man City with Everton in December 2010. Marko Arnautovic – who scored West Ham’s winner in the reverse fixture – has scored nine Premier League goals this season. The last West Ham player to reach double figures in the competition was Diafra Sakho in 2014-15 (10).